A British study has shown that lung cancer rates in women over 60 have doubled – caused, experts say, by the surge in female smokers in the 1960s and 1970s. LUNG CANCER RATES amongst older women have doubled since the 1970s, according to new figures released in a British study. In 1975, about 7,800 women in the UK had lung cancer – but by 2008, more than 17,500 women had developed the deadly disease. The pattern was reversed in British men, with a significant drop in lung cancer cases noted over the years. Approximately 23,400 men were diagnosed with lung cancer in 1975. That fell to about 19,400 men in 2008. The numbers were released Monday by the charity Cancer Research UK. 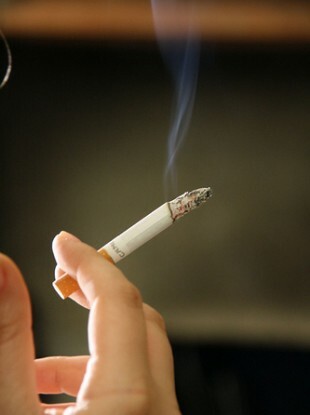 Cancer.ie says that most lung cancers in Ireland – up to 95 per cent – are caused by smoking. Lung cancer accounts for 20 per cent of deaths from cancer every year, reports IrishHealth.com, and is the second most common cancer in women. Experts are concerned that while lung cancer rates in British women in their 60s seemed to level off in the late 1980s, numbers have been climbing since 2002. Still, lung cancer in women in their 40s has fallen by 25 percent in the last three decades. In nearly all rich countries, lung cancer rates in women have trailed those of men because women started smoking decades later than men. Although public smoking bans in the West have cut smoking rates, lung cancer takes decades to develop, so any benefit from more people quitting cigarettes won’t be seen for years. About 90 percent of lung cancer cases are caused by smoking. It is the leading cause of cancer death in Europe and the US. In the US, lung cancer rates in women have plateaued and numbers in men have been steadily decreasing. Elsewhere in Europe, lung cancer rates among women are on the rise. IrishHealth.com points out that stopping smoking works: the risk of lung cancer for an ex-smoker falls to the same level as a non-smoker after 15 years. Email “Lung cancer rate in older women doubles”. Feedback on “Lung cancer rate in older women doubles”.